An important part of every business is keeping employees safe at work. However, accidents happen. If a worker get injured or become ill on the job, workers compensation insurance provides you and your employees with important protection. Read on to find out more about workers compensation insurance and what your business should look for in a policy. Workers Compensation Insurance (also called ‘workers comp’ or ‘workman’s compensation insurance’) is a state-mandated insurance carried by many businesses. It covers lost wages and medical treatment resulting from an employee’s work-related injury or illness. Additionally, it covers services needed to help an employee recover and return to work. Although employers are legally obligated to take reasonable care to assure that their workplaces are safe, accidents still happen. This is when workers compensation insurance provides coverage. There are two main purposes of workers comp insurance. 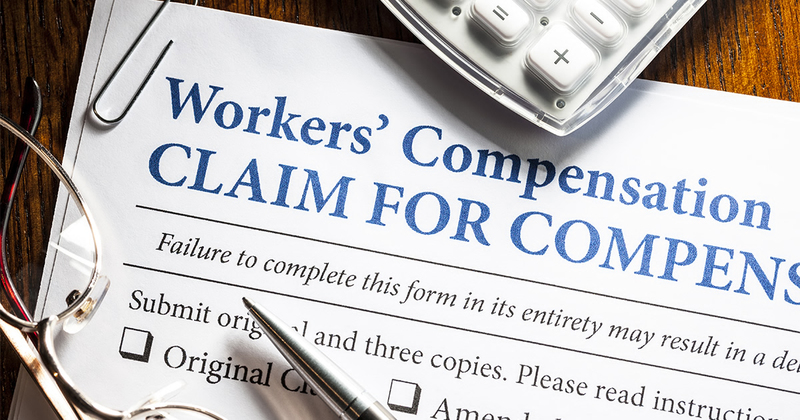 To assure injured workers that they will get medical care and compensation for a portion of the income they lose while they are unable to return to work. To protect employers from lawsuits by workers injured while working. Workers will receive benefits regardless of who was at fault in the accident. If a worker is killed while working, workers compensation insurance provides death benefits for the worker’s dependents. Workers comp insurance is required by law in most states like California. It is designed to ensure payment by employers for some part of the cost of injuries received by employees in the course of their work. Failure to carry workers comp insurance exposes the employer to paying what the insurer would have paid. It is the employer’s legal duty to make sure employees get the legally mandated benefits without delay. This type of coverage includes medical expenses for doctor, hospital and nursing care. Medications, diagnostic tests, physical therapy, and medical equipment are also included. Workers compensation insurance provides partial reimbursement of wages lost during a temporary or permanent disability. The disability may be total or partial. The insurance also provides vocational training for workers who must change occupations due to their injury. Workers comp insurance pays death benefits to the surviving spouse and minor children of workers killed on the job. Most states afford similar types of benefits, but the amounts they provide can vary considerably. One of the essential components of the business world is the workers comp insurance. By stipulating businesses to provide employees with this kind of coverage, several states like California take care of the interests of their workforce. Workers comp insurance in Orange County is governed by the same rules that are applicable throughout the state of California. Workers comp insurance is required to cover even the top honchos of the business, including directors, executives and other corporate heads according to California law. However, be sure to check with a lawyer or a broker for more information pertaining to your specific business before getting insurance. Laws may have stipulations, but insurance requirements may vary slightly depending on the nature of the business. You can approach a licensed insurer in the state of California to get workers comp insurance in Orange County. Initially, there’s an important fact you need to verify – if the insurer is authorized to provide policies in the Orange County which is your place of business. If you don’t get cover from the right insurer, this could lead to litigation or a lot of expense in case of any disability or insurance is caused at work. If you need help with Workers Comp Insurance in Orange County, contact California Insurance Finder today. Begin to look for a plan that meets the needs of your business. Your employee’s needs and your own can be met within the legal requirements for your business with a plan from one of our insurance providers. Talk to one of our insurance consultants about the right protection plan for you. Get a quote today.